For the seventh consecutive year, South Africa’s most loved pen, BIC – through its partnership with the Read Educational Trust – is on a mission to distribute 1.2 million pens to learners at disadvantaged schools across South Africa. 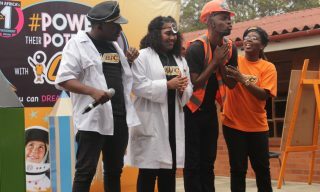 To achieve this, BIC is embarking on a national educational roadshow, ‘Power Their Potential’, to equip over 500 primary schools in the country’s townships and rural areas with stationery. The Power Their Potential performers on stage. Since 2011, BIC has supplied 7.3 million children with the stationery needed to fulfil their basic educational needs through its ‘Buy a Pen, Donate a Pen’ programme. Now, the children at this year’s beneficiary schools will no longer have to share a pencil or pen, each child will have an equal chance to access a key resource to excel in the classroom. 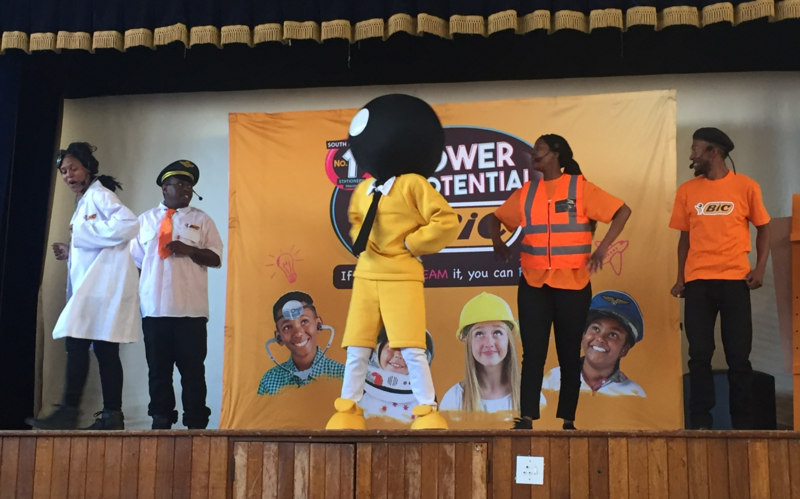 Running alongside the ‘Power Their Potential’ roadshow, a talent workshop has been developed that recognises young talent and inspires learners to get creative. Giving children the right learning tools can make a significant difference in their lives. BIC wants to help young people pursue the opportunities and talents that will allow them to ‘Power Their Potential’ and future,” Henderson concludes. Show your support for ‘Power Their Potential’ by buying any specially marked BIC ‘Buy a Pen, Donate a Pen’ pack, and in this way you are helping BIC provide the tools the youth needs to change their lives.